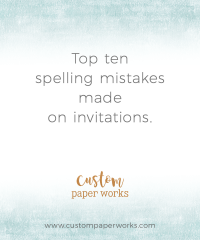 I previously explored the differences between truly custom invitations VS. customized invitations here. 1.) You feel limited by your choices in pre-formatted invitations, weather it be the style, paper stocks, printing options or pieces available. 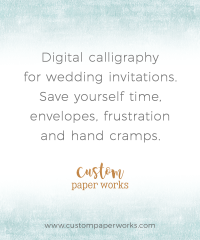 Custom-designed invitations are flexible in all of these ways, making it easy to get exactly what you want. 2.) You have been searching and searching and haven’t found anything you love. Even on our website. These are just examples of what previous clients have done. Yours can be completely different. 3.) You need a different format or set of inserts than what is available from the huge website/premade catalog invites/mass production companies. Destination and multi-cultural weddings often require additional inserts or enclosures that are easy for a custom designer to accommodate. 4.) You don’t want to have the same invitation as ANYONE else. EVER. 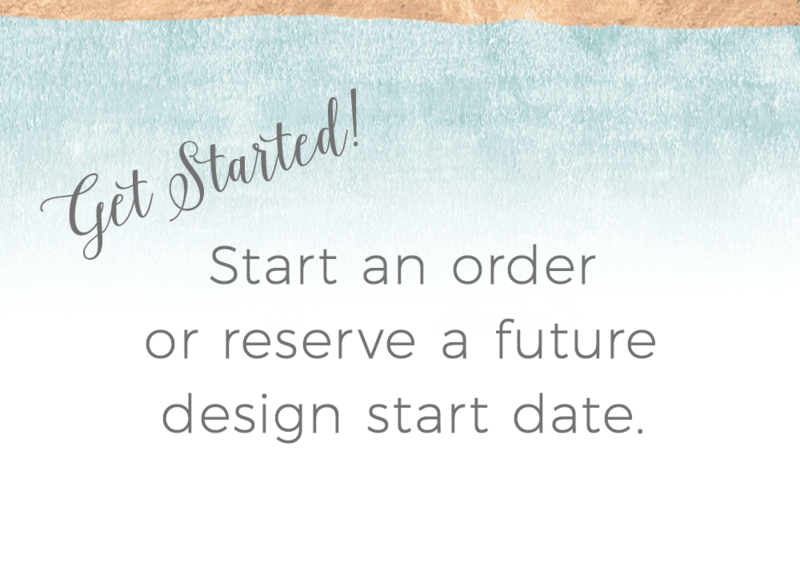 Fully-custom designs are completely unique to each client. They are designed just for you, and can be modified to fit your needs and style. 5.) You want to coordinate everything: save the dates, invitations, thank you cards, table numbers, programs, favor tags, etc. Don’t search high and low for pre-formatted items that almost match. Get them all done at one place. Everything will match completely (as much as you want them to anyway! ), you may save on shipping vs. buying from many vendors. You will definitely save your own personal time and effort. There’s no limit to things that can be customized these days – gobo lights, light-booth strip logos, flip flops, travel mugs, even M&Ms! Just ask! 6.) You want to work with an actual person, not a huge company where you are just an order number on an invoice. 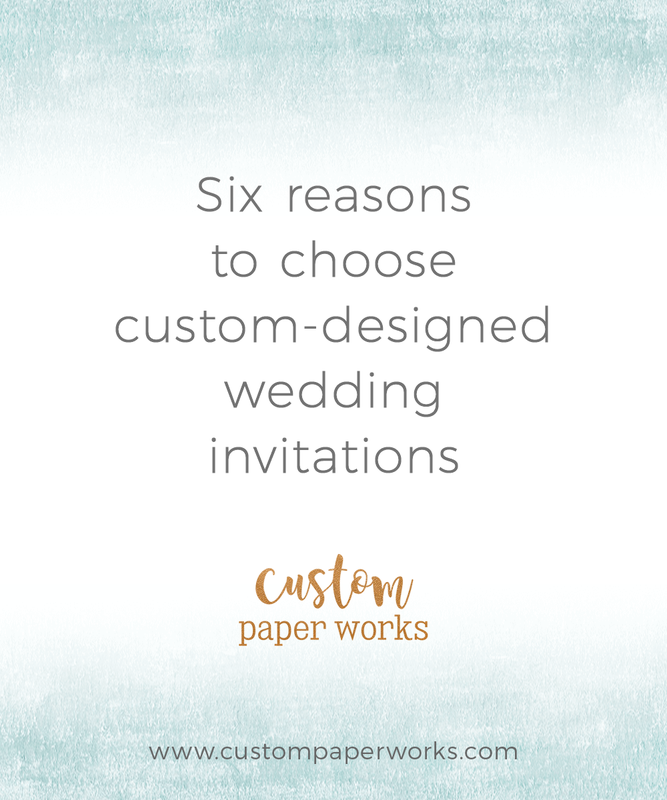 Here at Custom Paper Works, your custom invitation order, from initial quote through shipping, is handled by one person – me. No need to dig out your customer number when you have a question.